We are delighted to announce that we have just deployed the avail program with our first organization in America. 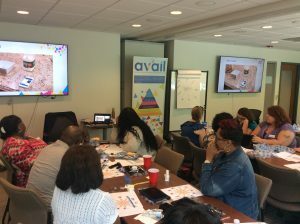 Back in March, we presented to KenCrest, an organization that supports over 11,500 individuals with disabilities in Pennsylvania, Delaware and Connecticut. It was the first organization we presented to, and within 5 minutes their team loved our vision, impact and solution. It was an incredible feeling to not only have such excitement in the room, but to work with innovating professionals and management team who are passionately pushing boundaries and raising expectations. 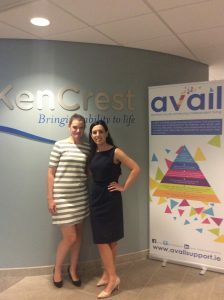 Fast forward to July, and we are proud to say that KenCrest are now using and benefiting from our avail software and program. 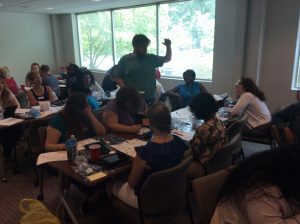 We designed a customized training course and delivered it to a group of 50 coordinators at KenCrest’s headquarters. opportunities for the individuals they work with, using a holistic life skills model. Interactive sessions on how to utilize the software and approach with their individuals, from completing tasks analyses, creating tasks and social stories, completing assessments based on goals, generating reports and using our avail library of pre-created task. Feedback from the group was extremely positive, with the various interactive sessions building confidence and an excellent approach to explore the skills that each individual can achieve using avail. Within a week of implementation, the organization is already witnessing the impact and benefits of the solution. Where new tasks and behavior strategies have been created and impacting the learner’s quality of life. As the founder, it’s incredible to see the individual profiles and progress, there is no better motivation! We want each and every individual to have the same opportunities in life, like everyone else in society. The dream and long-term aim is to empower and offer avail to as many children and adults as possible. This was a significant step towards that goal, and I’m grateful to everyone who has supported us on our journey to make this happen. Marian Baldini, CEO of KenCrest shared her excitement around the solution and demonstrates how not only will it increase independence for their clients but highlights the relevance of our data management system in increasing efficiency. 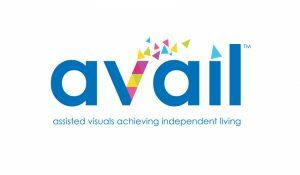 If your organization is interested in exploring avail and how it could benefit the individuals you work with, please feel free to get in touch with us for a demonstration. https://www.availsupport.com/wp-content/uploads/File-3-8-17-7-12-51-pm-e1502112727167.jpeg 1933 2203 The avail team https://www.availsupport.com/wp-content/uploads/Availrgb.png The avail team2017-08-07 13:20:552017-08-07 13:28:52KenCrest, the first organization to utilize avail in America!